Raul provides effective representation to clients facing complex civil litigation. He has experience handling a wide variety of claims on both sides of the docket as defense counsel and plaintiff’s attorney. His practice encompasses all areas of personal injury, premises liability, first- and third-party insurance defense, commercial law, and probate and estate administrations. He regularly represents clients in personal injury and property damage litigation arising from wrongful death/survival actions, products liability, premises liability and construction defects. Clients value Raul’s ability to resolve matters effectively and efficiently, while aggressively protecting their best interests. Regardless of the matter at hand, he always prioritizes hard work and clear communication. 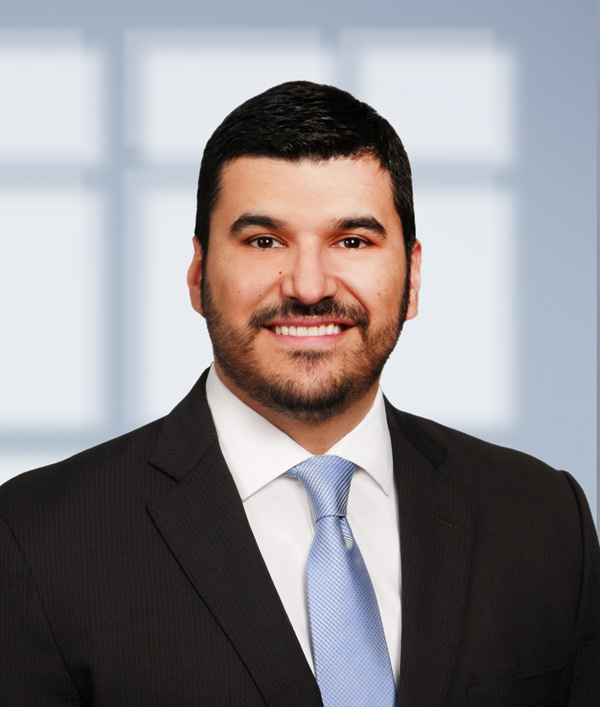 Prior to joining Mayer LLP, Raul worked at a large litigation firm, where he gained valuable experience representing insureds and Fortune 500 companies in matters involving personal injury, contract disputes and insurance defense. Raul is a member of the State Bar of Texas and is admitted to practice before the United States District Court in the Southern and Eastern Districts of Texas.